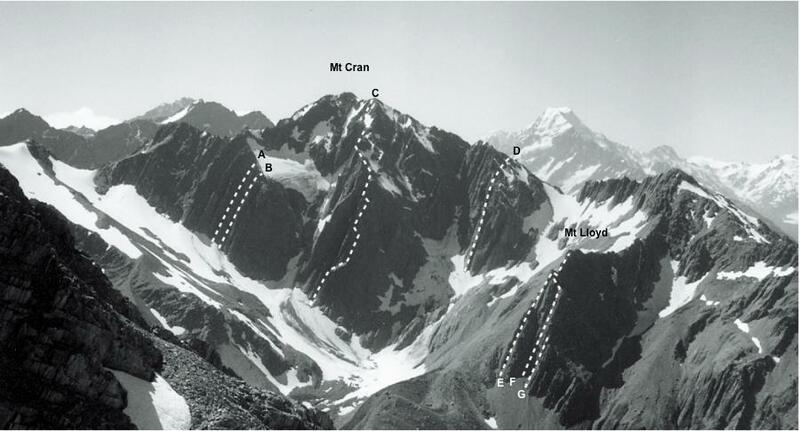 On the southern flanks of Mt Lloyd is a complex multi peaked rock buttress. Three faces have been named and from west to east they are Pyramid Face, Squirrel Face, Hundred Dollar Face. These are on the northern side of the spur after Shadows and Craig. Continue up into the basin between Mt Cran and the Mt Lloyd outlier buttress. Generally the access is best in the stream bed. The initial km or so can be done on the farm track on the true R of Fred's stream. After reaching a gate where the 4WD track heads left there is a slightly hidden track down through the manuka to join Freds stream. It is about 15m past the gate. You will not see where you are going (Mt Lloyd) until at the stream jct BY15 633 434 at the head of the valley. On the central buttress of the South Face of the Mt Lloyd outlier and left of Shadows. A 12 pitch route with crux at grade 17/18. The climb begins by taking a rising traverse to break through a short steep wall. 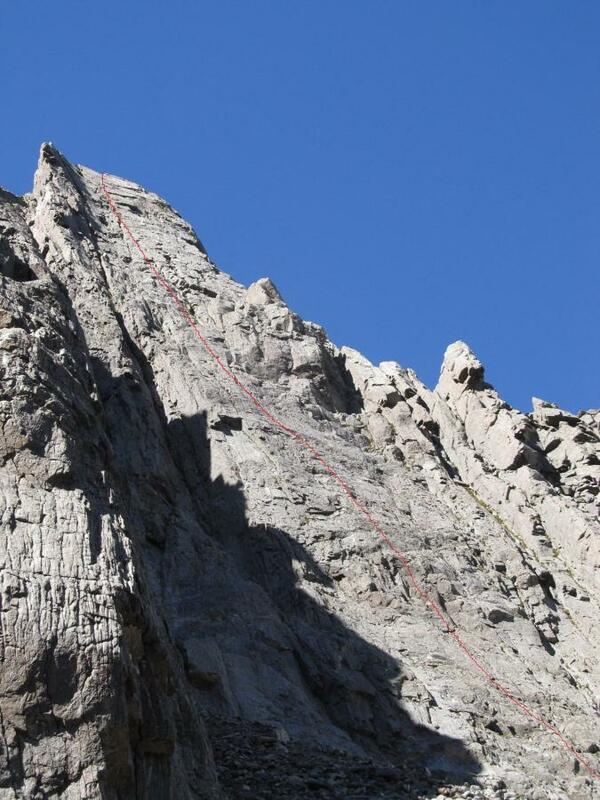 After surmounting two gendarmes, take the right hand gray wall to reach the main ridge. Scramble to foot of orange slab and climb the 60m crack. Continue up to ledges, scramble right on ledge, and finish up steep rock breaking through overlaps. Andy Macfarlane’s description of Craig. Dated 8/2/1995. 1. Start at apex of the buttress. Rising traverse left to break through short steep wall. Up. Grade 15 2. 2, 3, 4 Up 5. Ends atop the first gendarme. 13 6. Traverse gendarmes. 15 7. Take the right hand grey wall following the line of weakness. Gain the main ridge. 16 Scramble into gully to foot of the orange slab. 8. 60m up the crack that splits the orange slab. 15 9. Up the corner bounding the right side of the rising slab. 15 10. Up to ledges. Scramble down ledge to the right. 11. Up steep rock breaking through overlaps. 17. 12. Scramble to start of crag. The eye catching southwest buttress gained from upper valley in Freds Stream, on the south west outlier of Mt Lloyd. Climb centre of delightful face for six pitches of about grade 12. Then complete a series of pinnacles and short walls. The upper part of the route provides a crux grade 16 pitch on a 40m wall. About 350 m, 14 pitches in total. Peter Darby and partner Hamish completed but do not recommend, Thar She Goes at grade 8, on the slabs further right on the same wall. Up Freds Stream, take fourth stream on right onto ridge and climb around to the top.